Academics are increasingly judged by metrics from the amount of external money they bring in to the scores they get from students. Critical among these are journal articles: how many articles, the rankings of the journals in which they are published, the number of times they are cited, and so on. So there is a lot at stake in assigning authorship of articles from collaborative research projects like this one. 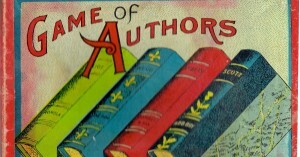 In this post, Heather and Kim share CelebYouth’s approach to authorship. Famously, in 1967 Roland Barthes declared the death of the author. He was writing about literature, but his ideas apply more widely: writing is ‘the trap where all identity is lost, beginning with the very identity of the body that writes’. For him, it is the reader who defines a text. Anyone who has seen their work cited and wondered ‘is that what I meant?’ or even ‘how did they get that from what I wrote?’ will know the power of the reader. But this does not mean that authorship does not matter, Barthes himself admitted that ‘contemporary culture is tyrannically centred on the author’. Michel Foucault’s idea of the author function is more helpful. What Foucault captures is how, whether or not authors exist in an authentic sense with power to define the meaning of what they write, we act as though they do. As a society, we want to know if Shakespeare wrote ‘his’ plays, how Lewis Carroll related to the real ‘Alice’, and so on. 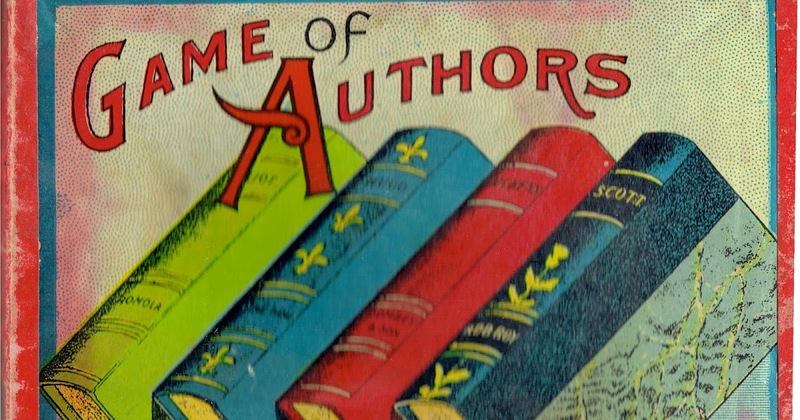 Authorship performs a powerful classificatory function, ‘a name permits one to group together a certain number of texts, define them, differentiate them from and contrast them to other. In addition, it establishes a relationship among the texts’. This mapping of literatures and fields, with its assigning of value to some writing and people over others, is critical to academia. Mobilising your position in the field through a claim to authorship is how you secure funding, promotion, keynote invitations and other markers of esteem. As Barthes and Foucault agree, authors are a modern invention, linked to capitalism through individualism and ownership. Academia, for all it may pay lip service to being alternative, is supremely individualistic and increasingly neoliberal. Claiming your individual contribution to knowledge is critical for all academics – including early career researchers – as the REF (among other things) creates a culture of ‘publish or perish’ within contemporary HE. But does it always have to be so? And what are our choices within that? Authorship can be particularly problematic within joint research projects. Inevitably there are power differences between members of a team. Often one person feels they have ownership of a project, and the position of grant holder or principal investigator institutionalises this. In many cases the PI does little or none of the legwork in terms of data collection and analysis but even then are seen to own the project over the researcher or researchers who did this work, who are usually in short-term, poorly-paid positions. Of course funding councils expect projects to offer ‘value for money’ and conventional wisdom is that senior academics’ salaries are not well spent on collecting data. Yet, this can be challenged as both of us were costed in for data collection on CelebYouth. Academics often legitimise this division of labour by giving less value to collecting data than to developing ‘theoretical’ ideas within the resulting ‘outputs’ that are attributed to the PI. The latter is abstracted from the former, failing to recognise that collecting ‘good’ data requires great skill and intellectual and emotional labour. Similarly, many supervisors routinely put their names on their doctoral students’ publications. 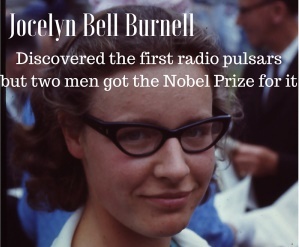 The most infamous example of stolen credit was when Jocelyn Bell Burnell, as a junior researcher, discovered radio pulsars but it was two senior (male) physicists who were awarded the Nobel Prize for this work as they were viewed as having ownership over her research. This is not just a gender issue, as academic positions are also stratified by ethnicity and social class. Heather has worked on projects where the lead researcher had anxieties around academic writing which resulted in her preventing other people from writing articles about the work. She was once called to a meeting with other junior academics who had suggested ways to use these and other data, where senior staff told them that their behaviour, in even feeling entitled to make such suggestions, was inappropriate. Yet Heather has also had some fabulous experiences, including where someone involved her in writing from a project they led, despite her getting involved only in the final months of a three-year study, and when another senior academic insisted on Heather taking first authorship on a collaborative publication, reversing alphabetical ordering. On CelebYouth, we have produced a number of co-authored publications with each of us leading on at least one, including Laura and – more recently – Aisha – who were recruited as researchers. We are currently co-writing a book with Laura and Aisha based on the project. While one of us as lead author takes responsibility for the publication it is a collective endeavour and our experience is that the resulting publication is hugely improved by collaboration rather than one person slaving away on their own. I feel that papers that come out of our project should default be joint as they build on so much collaborative work on data collection, analysis, and generally thinking together. Much of this is lost in the mists of time but for this paper I think immediately of the original group interview code summary that Kim wrote which I used a lot and which I went back to this week to decide how to approach these latest revisions. I can also see that working on the rhetorics of inequality paper with Laura gave me an way to tackle the major revisions to the paper last year. I don’t think we’d have used that analytic approach on the project if someone else had been the researcher. As a result I’d much rather you were both on this paper as authors . We all benefit from our collective work in incalculable ways and journal articles, as the highest status part of that collective work, should be joint authored to acknowledge all the other stuff. Heather’s response speaks to the fruitful messiness of collaborative work and the impossibilities of distinguishing one person’s contributions from another. Our published papers have been the result of all of our efforts: from designing the research questions and tools through which we generate data; to setting up fieldwork and forging relationships with gatekeepers and participants; to ‘feeling’ our way through data in our joint discussions – especially about those bits of data that niggle away and don’t ‘fit'; to presenting emerging ideas at conferences as we hone our analysis; and finally to the process of writing these up. These kinds of conversations and collective labours can be ‘lost in the mists of time’ but are essential to our ways of working – even though they are not readily captured by the current system of metrics that privileges the individual ‘intellectual’ . We also see it as part of our role as relatively-senior academics to ensure anyone with whom we work on projects, gets publications from them and to ensure that these are meaningful. This entails not simply adding them in but including them in the writing process, and providing the support they need to lead on at least one journal article. This commitment and politics is influenced by the support we have had from senior colleagues in our careers and informs not just our aspirations for the projects we have now but those we plan in the future. Building capacity and supporting ECRs are often discussed glibly by research councils as ‘strategic priorities’. Making this more than a form or words requires time and commitment and is something that we have both found challenging both in practice and in our experiences of writing funding applications. In the spirit of feminist politics and consciousness-raising, this chapter is a necessarily and purposely collective endeavour. … If the ideological devices of the neoliberal academy seek to constitute us as individual subjects of knowledge, writing this as the ‘Res-Sisters’ is a form of counter-interpellation based on a feminist politics that emphasises our collective identities. We wrote this chapter together, all contributing to the group discussion, writing and editing. Our approach is imbued with care and support for one another allowing for members of the collective to have varying degrees of input at different times. No one is ‘lead author’. This is a powerful and satisfying form of writing and thinking; our ideas are mutual yet also different and were often bounced off each other to construct new ones. Our sentences were initiated by some and finished by others. Foucault looks to the point at which ‘the author function will disappear’ and writing ‘and its polysemous texts will once again function according to another mode’. Instead of being concerned with identifying who spoke, their authenticity and originality, we would ask: ‘What are the modes of existence of this discourse? Where has it been used, how can it circulate, and who can appropriate it for himself [sic]? What are the places in it where there is room for possible subjects? Who can assume these various subject functions? And behind all these questions, we would hear hardly anything but the stirring of an indifference: What difference does it make who is speaking?’ We can connect this to feminist academics’ discussions of the need to disrupt citational practices within knowledge production. This is largely talked about in terms of citing women and academics of colour rather than the usual ‘dead white men’. We argue that this vital ‘politics of citation’ should not just involve citing marginalised voices but must extend to explicitly acknowledging the collective nature of knowledge production through co-authorship and other acts that disrupt both the norms of individualistic academia and epistemological practice more generally.